CraftyRie: My attempt at knitting a toy! I've decided to knit baby Joe a toy BUT I don't do patterns well & I'm not the worlds best knitter. 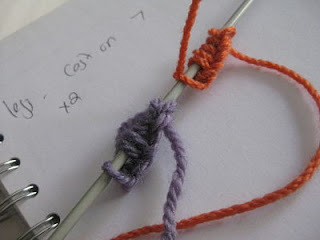 So I have chosen to use the basic knit stitch or garter stitch as some know it and make the pattern up as I go along. This is what I have so far... how is it looking? Ha, I know, I've only casted on the stitches - but hey this is a giant step for me!!! purls jsut don't like me!